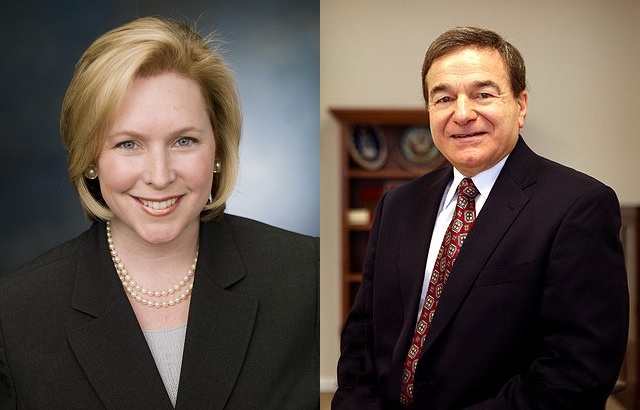 Right after the primaries in New York, when Republicans finally found out that Joe DioGuardi would be going against Democrat Kirsten Gillibrand, they got a big bounce in the polls. Judging by the new Quinnipiac, that bounce had a finite lifespan, and that lifespan was not particularly long. It was the Quinnipiac poll that first suggested there was a serious move against Gillibrand, as in that poll DioGuardi pulled within 6. SurveyUSA later showed a single point deficit, but Quinnipiac was in there first with Rasmussen as showing a close race. So now when Quinnipiac comes out with a new 55-34 result (MoE 2.9), I’m forced to think that Gillibrand is soon going to be the prohibitive favorite again. Real Clear Politics suggests that the Governor’s race is dragging down the Senate race, and that may be true. But DioGuardi got a decent amount of attention for winning the primary and that had to have helped. But now the honeymoon’s over, and the polling is returning to normal.